Half the LBA will be built at KAIRA and the other half near Sodankylä. This means transporting some of the grids back to SGO. To do this we investigated various ways of doing this transport work. 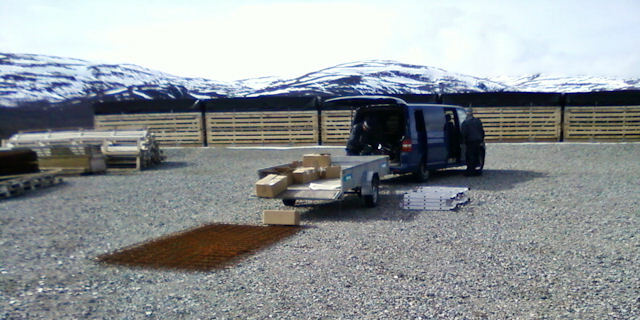 In this photograph, you can see some cut grids in the foreground, ready to be loaded on to the trailer.